WestJet has dropped the price of one of their non-stop flights in December from Calgary to Honolulu, Hawaii down to $444 CAD roundtrip including taxes..
3. On Priceline, the price will show up as $343 USD roundtrip including taxes. Priceline is *always* in $USD. 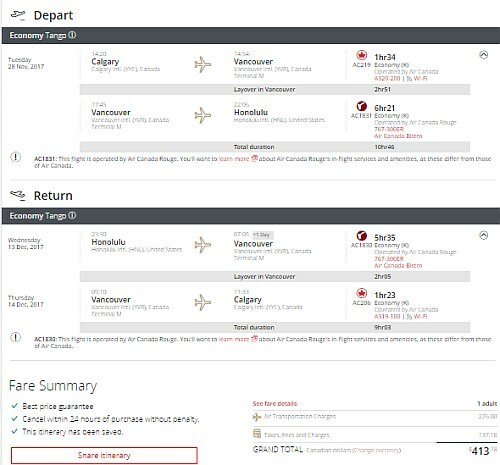 This will work out to $444 CAD roundtrip when booked using a Canadian credit card, and including the typical credit card foreign exchange fee. 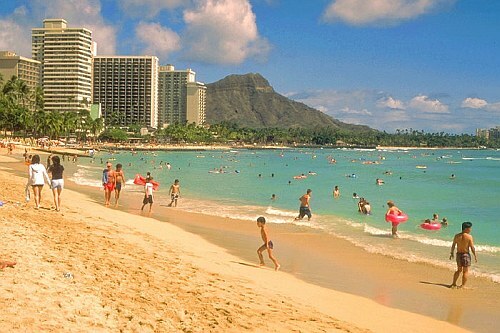 calgary, yyc, united states, flight deals, westjet, air canada, hawaii, honolulu, hnl and north america.